Brands that sell their own products often find it challenging to produce and stock the right amount of inventory. Proper inventory management and forecasting has many benefits and is essential for your bottom line. Retailers in the US are sitting on an average of $1.43 of inventory for every $1 of product sold, but 46% of small business owners still don’t track their inventory or only use a manual method. By improving your inventory management process, you will ensure that you have a steady cash flow because you won’t be spending money on unnecessary stock. The freed up capital can be invested in growth instead. On the other hand, having items in stock means your customers will be satisfied with timely fulfillment, resulting in more repeat purchases. 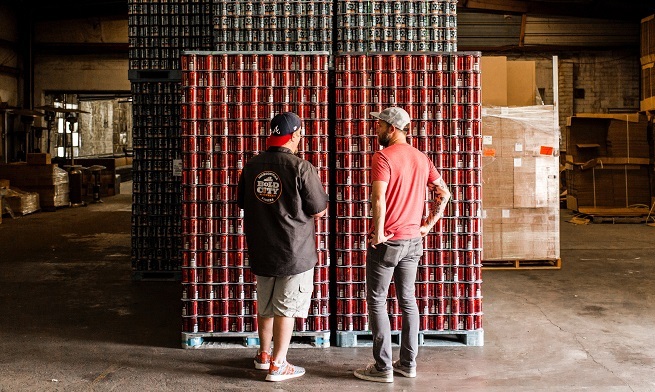 Here are 10 effective inventory management and shipping tips for DTC brands. 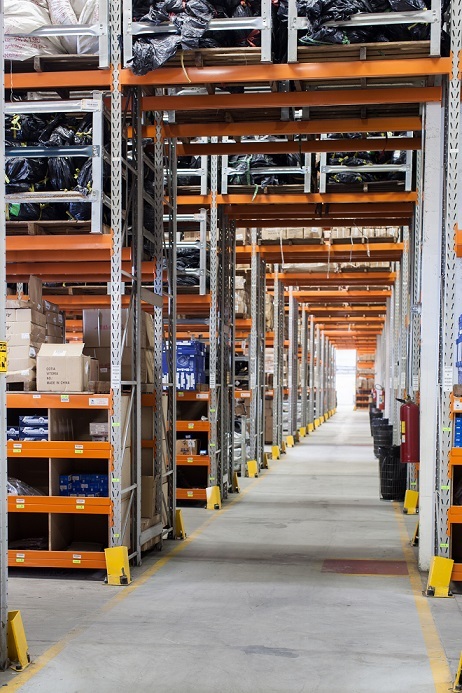 A well-organized warehouse is essential for maintaining a smooth workflow. For example, items with high sales volume should be placed within easier reach than items with lower sales volume. Seasonal items should be moved to make room for evergreen items that generate sales all year round. To keep your warehouse organized at all times, use labels and barcodes to track products. Use an electronic system to track all items from the moment they are received in the warehouse until they are delivered to the customer. You can also maximize the vertical space of your warehouse with a shelving system. However, make sure that your workers can access upper-level items quickly, efficiently, and safely. To make your order fulfillment process smoother and keep your warehouse organized, use the First In First Out (FIFO) rule. In other words, ship out older stock first and only then continue with the newer stock. To do that easily, arrange older stock in the front or closer where it will get picked before the newer stock in the back. This will especially important for products that have an expiration date. Even for products with a long shelf life, the FIFO approach makes sure you ship the older version and batches first before moving onto the newer ones. This helps customer service better track the experience, knowing which version a client got. Some products will have a greater effect on your bottom line than others. There may be one best-selling product that takes up little space in the warehouse, and earns you a wide margin per sale. Then there might be other items with much lower sales volume, taking up more space and bringing smaller profit. A Product performance report will tell you which products to prioritize in marketing and production and which ones to push back. Pictured: Such a report in Metrilo. The Pareto Principle or 80/20 rule, which states that 80 percent of the effects come from 20 percent of the causes, can come into play here. For example, 80 percent of your sales and/or profits may come from items that take up 20 percent of your warehouse space. So to get a better return, prioritize the items that are the most important for your bottom line and dedicate them more warehouse space. This ties into what is known as ABC inventory management, where items are put into one of three categories based on their importance. You should have a minimum and maximum stock level for each item. Minimum quantities ensure that you don’t run out of stock and lose out on sales. At the same time, not going above the maximum will ensure that you are not left with large quantities of unsold items. Calculating your minimum and maximum levels will take time, and you’ll need to track your sales data history over a period of time. Keep in mind that these levels can also change depending on the season or on consumer purchasing trends. Monitoring sales by product by period and seasonality is a good practice. With accurate forecasting demand for your products you will avoid both understocking and overstocking. 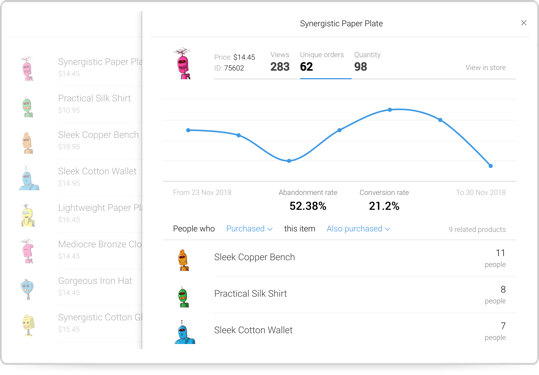 Invest in a high-quality tracking system that is able to track the sales and trend history of products to predict what the future demand will be. You can compare the same period over the last few years – Holiday Season, for example – to prepare well ahead of time. Also, align inventory with marketing activities to drive traffic to the products you need to sell and not disappoint customers with out of stock on promoted items. When taking stock of your inventory, it’s important to take into account your shrinkage rates. Shrinkage refers to the percentage of items that get lost, get returned, get damaged during shipping, are faulty or otherwise don’t contribute to your bottom line. Always allow some extra count for these items when calculating your stock levels for each product just in case. While counting your entire inventory takes a lot of effort and time and isn’t usually done more than once or twice a year as so not to disrupt your normal operations, cycle counting takes a lot quicker and can be incorporated into your usual activities. Cycle counting involves counting a smaller percentage of your items to check how accurate your records are. The ABC technique mentioned earlier may come into play here. For example, you cycle count your A-level products very frequently while B-level and C-level products get a check twice a year. When transferring your products to distribution centers, make sure the unloading is done with extra care. There should be sufficient space for workers to unload all products, organize them, and label them correctly. You should also have a few skilled workers to rely on not to let products get lost or mislabeled. Sometimes, things can go wrong. A shipment may get damaged or be involved in an accident or theft. Your warehouse may be hit with a natural disaster. A technical problem may cause a popular item to be temporarily out of stock. Your shipping supplier may have an emergency and not be able to deliver your shipments. Many other emergencies can come up so it is important to have a backup plan. Getting your products from another manufacturer may not be an option if you are a DTC brand, but you can plan for emergencies in other ways. For example, you can have a backup shipping carrier in case your main shipping company is out of service. You should also check your insurance and have a plan for notifying important customers if something goes wrong. On top of that, one benefit is that you can provide your customers with a wider variety of shipping options at different prices, giving them the ability to choose the most convenient for them that fits their budget. It also gives you room to negotiate better shipping rates. All that improves your conversions rates. This applies not just to shipping to consumers, but also when using carriers to transport your goods to your warehouses. Having multiple warehouses or distribution centers has many benefits. With an additional distribution center located in a different area of the country, you can shorten shipping times and delight your customers while keeping costs down. This will lead to increased customer satisfaction and better customer retention rates. Proper inventory management will help you keep your customers satisfied. They will stay with you for long. Your cash flow will be steadier. By using the above 10 tips, you can streamline your warehouse management process and delivery service to improve your ROI and your bottom line. This article has been prepared in collaboration with Roberto Garvin, co-founder of Mofluid.